A few years ago, a tax nerd at the Roundhouse could catch murmurings of “deductions,” “exemptions,” and “credits” — the tell-tale sign of tax talk — while strolling past law-makers in the hallways or overhearing side conversations during committee hearings. Tax reform as a goal has progressed since then. In the past two years, the movement has interested a larger number of public officials, including Gov. Susana Martinez. Last year, competing concepts jockeyed for primacy. A bipartisan bill wasn’t in the cards. Still, tax re-form nearly cracked through the noise to become a high-profile priority during the final weeks of the 2017 session, giving the idea a sense of urgency in Santa Fe. Given this history, you could be forgiven for thinking it has a shot at success during the short 30-day session, which is dedicated to budgetary matters, including taxes. But you would be wrong, several lawmakers and experts say. Tax policy is arcane, difficult stuff even in the best of circumstances. And this year does not offer the best of circumstances. New Mexicans will elect a new governor and members of the state House of Representatives in November, and election-year politics don’t mix well with the complex challenges of restructuring the tax code. Meanwhile, software being created to enable state lawmakers and public officials to model various scenarios of tax reform won’t launch until January, too little time for legislative staff and elected officials to master the program before the session ends Feb. 15. Looming over all this is the new federal tax law. Passed in December by the Republican-controlled Congress, it has New Mexico lawmakers, economists, tax experts and legislative staff wondering how it will affect New Mexico’s revenue picture as it emerges from a serious cash short-age and state government is starving for dollars. To put it in easy-to-understand terms: A projected $200 million to $300 million growth in tax revenue from improved oil and gas activity could grow or shrink depending on the law’s effects. Finally, for all the big talk of tax reform in 2017, the difficult political work and the intensive per-son-by-person lobbying required to pass a tax overhaul remains mostly undone. All of which makes talk of substantive reform in 2018 more optimistic than gritty political reality. The phrase “tax policy” might scare many people away. But the truth is taxes are a part of New Mexicans’ everyday reality. They touch on virtually every transaction. Pick an activity and taxes are there. Buying a car? Yep. Mining? Ditto. Providing legal or accounting advice if you work as a contractor rather than an employee? Yep again. Income — both earned and gained from investments — is taxed, too. Think about it. Thousands of transactions each day, spread out over a year, makes millions of taxed interactions involving individuals, families, corporations, nonprofits and others. In an ideal world, a state’s tax policies strike a balance between some-times-competing principles: fairness and efficiencies. A tool states use to strike this balance, to varying degrees of success, are tax breaks called exemptions, deductions and credits — so-called tax expenditures. Hundreds of them are buried with-in New Mexico’s tax code. Because they exempt or lessen the amount that is taxable, they reduce the money the state collects by billions of dollars each year. However, an increasing number of state lawmakers from both political parties — and Gov. Martinez — think it’s time to scrutinize those deductions, exemptions and credits. They aspire to one of the Holy Grails of tax policy: Simplifying the tax code and, as a side benefit, lowering general tax rates, particularly the gross receipts tax. New Mexico’s version of the sales tax that taxes professional services and the production of goods, the state GRT is 5.125 percent, or roughly five cents for every dollar. It is the state’s single largest generator of tax revenue at $2 billion in annual taxable income before credits are applied. Many lawmakers want to eliminate tax expenditures to reap all that uncollected cash. In turn, that would allow them to lower the GRT rate from 5.125 percent down to, say, 2 percent. But that’s where the general agreement breaks down. A small number of lawmakers agree in concept some tax breaks might need to be eliminated. An even smaller number of law-makers agree on which ones to eliminate. That progressively dwindling number of lawmakers demonstrates a political challenge: How to win over enough lawmakers to agree on a proposal that would dramatically change the tax code. Another challenge is working through the difference of opinions on what belongs in tax reform. Should tax reform mean only re-structuring the gross receipts tax? Or should the state restructure the GRT and raise the rates for the state personal income tax? Lawmakers, unsurprisingly, are divided on the answer. In some corners, particularly progressive ones, lawmakers fear a re-form of the state gross receipts tax might hit poorer New Mexicans harder than the wealthy. To ensure an equitable tax code, they believe state policymakers should consider raising income tax rates on the state’s wealthiest residents. A decade ago, Democratic Gov. Bill Richardson and the Legislature changed the state’s personal income tax structure, dropping the top state income tax rate from 8.2 percent to 4.9 percent. At the time New Mexico was flush with money. The state’s oil and gas industry was reaping the windfalls of historically high oil prices, and money was flowing into the state’s economy and generating strong tax revenues. Then the Great Recession hit and New Mexico was reminded of how dependent it is on the oil and gas industry. As tax revenue from the industry collapsed, the lower income tax rates on New Mexico’s highest earners exposed the structural hole in the state’s tax collections. Ever since, progressive state law-makers and their allies have pushed for higher income tax rates on wealthier New Mexicans. Talk of tax reform mostly has focused on the GRT, however. There are several reasons, including history. Over the decades state lawmakers have added deductions, exemptions and credits to the gross receipts tax, reducing the revenue going to the state. To compensate for the loss of cash coming in, the GRT rate has risen steadily to its current threshold — 5.125 percent — in an attempt to collect the same amount. Because counties, cities, town and tax districts are authorized to impose a local version of the GRT, depending on where you are in New Mexico what you actually pay on every transaction can be 6 cents, 7 cents, even more than 8 cents on every dollar. For example, the combined state-local GRT in Santa Fe, Las Cruces, Las Vegas, Gallup, Truth and Consequences and Taos is more than 8 cents while Albuquerque and Farmington charge 7.5 cents and 7.625 cents, respectively. If you eliminate some of these exemptions, deductions and credits in the gross receipts tax, you could lower the state’s portion of the GRT — 5.125 cents — and raise the same amount of money altogether, goes the thinking. In other words, the tax will apply to a broader set of items and lower the gross receipts tax in statute that people are required to pay. But not everyone is persuaded the GRT should be the sole focus of reform. It was within that context at a mid-December legislative committee hearing that Democratic Rep. Bill McCamley suggested policymakers apply a “holistic” approach to tax re-form. 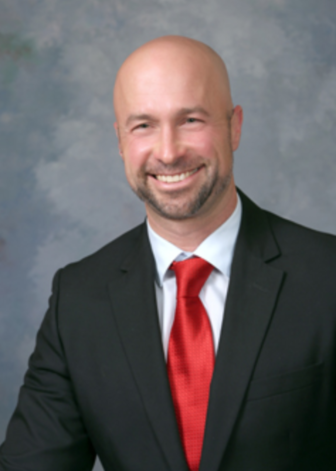 Jason Harper, McCamley’s Republican House colleague from Rio Rancho and a sometimes tax-reform collaborator, wasn’t keen on the idea. 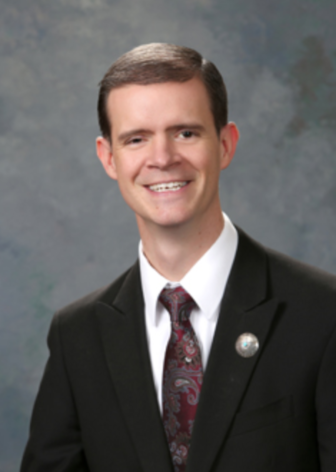 Harper, like McCamley, is one of a handful of New Mexico state lawmakers who can talk your ear off about the intricacies of state tax code and what needs reforming and what does not. But while he and McCamley have pushed their colleagues through the years toward reform, the two disagree on some of the details as well as the larger questions. Harper believes the state’s current tax code is stifling small businesses, particularly by inadvertently taxing some items multiple times during the production process — called pyramiding. He also laments the GRT rate professionals pay if contracted to provide certain services. Calling tax reform a once-in-a-generation opportunity, Harper is disappointed the Legislature didn’t pass it in 2017. “We had a budget that was a problem. We had the Senate and House were both re-elected. You had a governor who was on her way out. And all those three things together put the perfect storm … for tax reform,” Harper said. An extra year of negotiations, some state lawmakers say, would give policy makers additional time to negotiate all the tax policy and political details. Not that an extra year will make the conversations any easier. McCamley and Harper’s differing worldviews — whether to include reform of the personal income tax with a restructuring the state’s gross receipts tax — demonstrates one challenge of tax reform. Another one is settling on who wins and loses. Remember all those deductions, exemptions and credits. Behind everyone are taxpayers who benefit. Closing or changing them will affect someone. The hope, lawmakers say, is that reform will benefit as many taxpayers as possible. But doing that would require mathematical precision married to an ability to predict human behavior in response to incentives. In this case, higher or lower taxes. Patricia Lundstrom, the Democratic chairwoman of the powerful House Appropriations and Finance Committee, noted the difficulty legislative analysts had predicting the fallout from 2017 tax reform proposals. “What I saw last year was that they had a hard time scoring what the true cost would be,” she said. McCamley, like other tax reform advocates, acknowledged the bewildering complexity that comes with overhauling the state code. Just ask Sen. Gay Kernan. The Hobbs Republican worries about how reform might affect health care practitioners. Federal rules prohibit insurers from paying a gross receipts tax for some health workers, including physicians who work as contractors for insurance companies. What happens if the state decides to change state law to require that those contracting services pay the GRT instead of those performing the service? Federal rules would super cede the new state law and health care practitioners wouldn’t benefit, she says. Or listen to what John Arthur Smith has to say. Smith, the Democratic chairman of the powerful Senate Finance Committee, is known as “Dr. No” around the Roundhouse. It’s a nick-name that stuck after Richardson used it to describe Smith’s hardheadedness when it came to budgetary matters. The Deming Democrat has tussled with Richardson’s Republican successor, too. Smith is adamant that true tax re-form won’t work unless New Mexico starts to tax food again. If you lower the state gross receipt tax rate from 5.125 percent — or 5 cents on every dollar spent — to 2 percent after closing or eliminating tax breaks, the state would need as much money coming in as when the tax code had all the tax breaks to stay “revenue neutral,” he says. Otherwise, the lower GRT rate would not produce enough money. “I can tell you right now you’re not gonna achieve (tax reform) without” the food tax and the health care tax, Smith said. But re-imposing a tax on food is hugely contentious, generating a perennial battle among those like Smith and more liberal state law-makers, the Catholic Church and progressive organizations. You can begin to see, after contemplating the challenges awaiting state lawmakers, why the last substantive tax bill to pass the Legislature was in 2013 following the 2012 election. Supporters and critics of that legislation hailed it as a major piece of legislation. Compared to tax reform, it was a baby step, lawmakers and experts say. Finally, consider the last big challenge to tax reform: All the unknowns swirling around the new federal tax law. State officials don’t know how it will affect New Mexico or how Congress will pay for it. Estimates by the congressional Joint Committee on Taxation are that the new tax law will add to the federal deficit by $1.5 trillion over the next 10 years and the federal government may have to offset that revenue loss. It is unclear how offsetting those costs will occur, ac-cording to a December brief from the Legislative Finance Committee. New Mexico receives a ton of money from Washington through several programs, including Medicaid and mineral leasing payments. Beyond the general effects to the state, New Mexico officials will be scrambling to determine how categories of New Mexico taxpayers are affected. 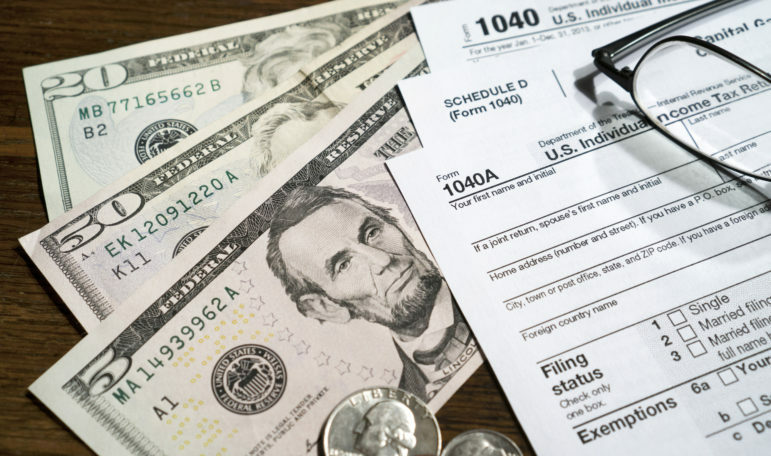 Depending on how you file taxes, the number of personal ex-emptions you claim and other factors, a New Mexican could come out ahead or behind, said Anklam of the New Mexico Tax Research Institute. To illustrate his point, Anklam used the case of a single mother he named Sally with two children who files as a head of a household. Sally’s standard deduction will go from $9,000 to $18,000, meaning that is the amount she will be able to shield from being assessed as tax-able income. That sounds good until you look at her situation in its entirety, he says. At the same time the federal law doubles her standard deduction, it eliminates all her personal exemptions, which are worth $4,150 per person. With three exemptions — herself and her two children — she’d lose $12,450 she could shield from being considered taxable income. “Sally is going to have more taxable income unless New Mexico changes the income tax rates,” Anklam said. There are thousands of other examples that state officials will have to examine first to see how the new tax bill affects revenue. “It’s somewhat of a shadow on what we’ll be doing in the legislative session,” Smith said of the federal tax bill. All of it — the politics, the intricacies of tax policy and the unknowns swirling around the new federal tax law — make tax reform unlikely, at least this year, lawmakers say. Harper, for one, hasn’t lost hope.